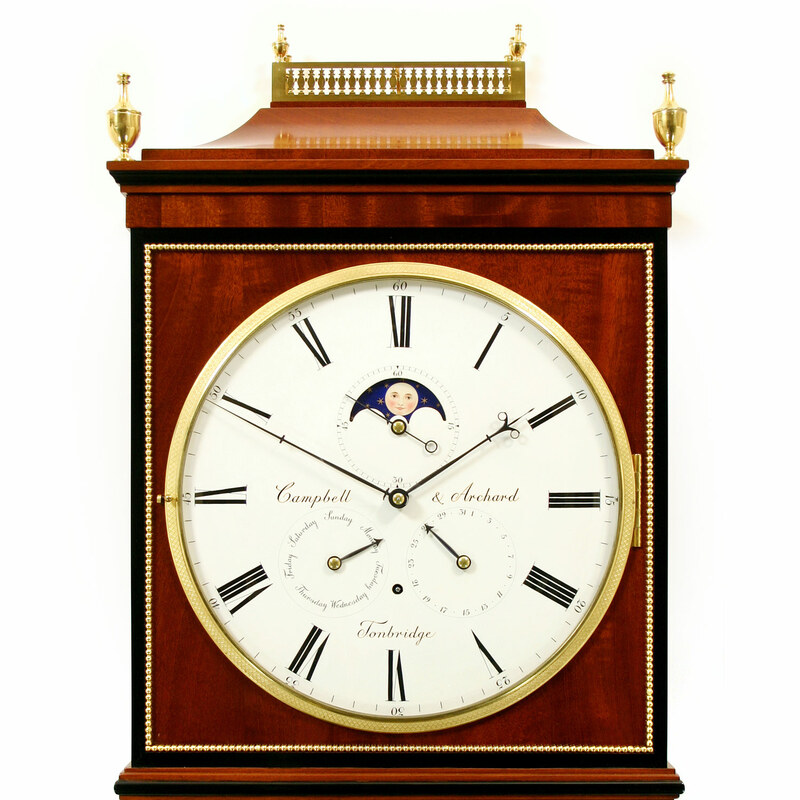 Based on an original clock of about 1820 by Phillip Fertbauer, a celebrated Viennese maker, the movements for these clocks were made by George to commission from Campbell and Archard Ltd., Tonbridge. The complex movements have indications for the day of the week and the date, as well as having a moonphase dial within the seconds ring. 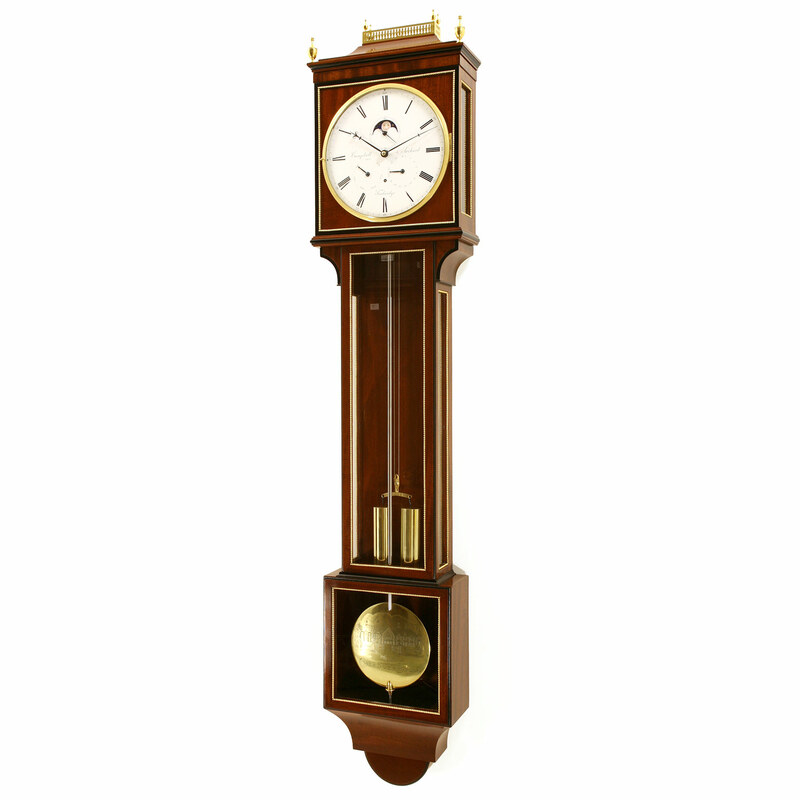 The movement uses Fertbauer’s escapement, whereby the pallet knibs are set into an aperture in the pendulum rod, and the pendulum itself swings on a gimballed knife edge set between the plates. This has the advantage that a crutch is not required, the pendulum instead being impulsed directly by the escape wheel, thus eliminating the friction and energy losses intrinsic to a more conventional design. Without the crutch, the movements can be made very narrow indeed and the reduced mechanical losses mean that they run on a surprisingly light weight. 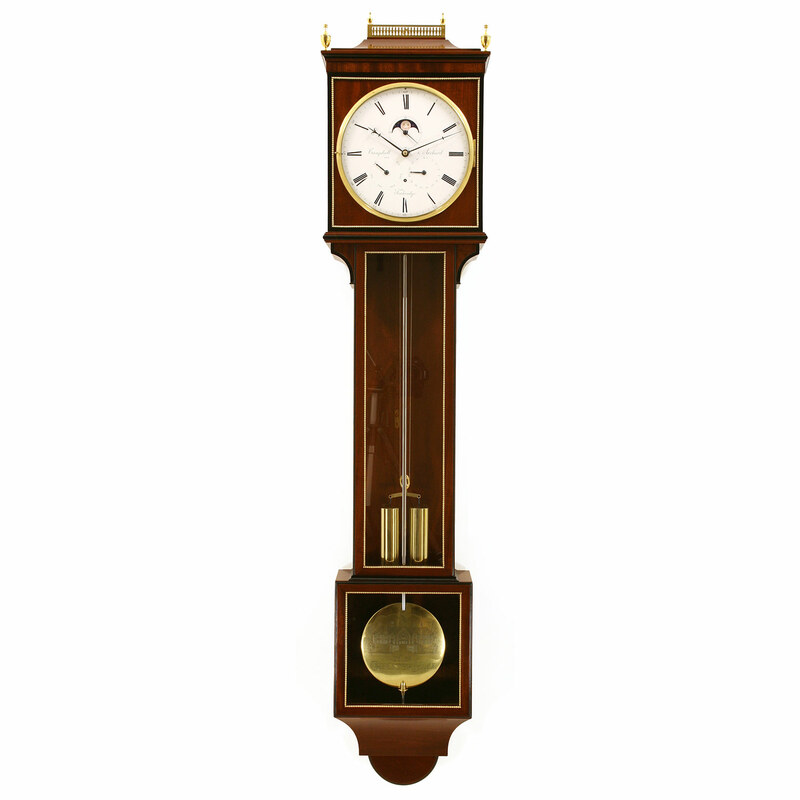 The movements are housed in exceptionally fine flat-to-the-wall seven-light laterndluhr cases, made in-house by Campbell and Archard Ltd. More information about these clocks can be found on Campbell and Archard’s website.